He was on several charitable and business boards and was considered a pillar of the community. One of the members of his church convinced him to invest his inheritance in an investment package promising him a 15 percent return so he could give more to charity. He transferred his $500 million to this investor, based on their mutual church relationship. The investment turned out to be a Ponzi scheme. He lost it all. At the age of seventy-five, he was left with no resources or options to generate income. He had not learned that there need to be qualification and performance standards for hiring an investment advisor. It does not make any difference whether the amount is $1 or $500 million. His grandparents’ plan was based strictly on chronology, which they thought would protect their grandson by allowing him to mature and learn over time. The conflict we see in families is that many professional advisors think age is a measurement for readiness to receive disbursements, versus developing qualifications and performance standards. We often use a football analogy to explain the concept of the family as a high-performing team, with each member understanding his or her contribution to the team and being well-practiced in the “plays” before the wealth actually transfers. The diagram and explanation below offer a familiar example of the consequence and represents a scenario that plays out every day in wealthy families. As a former professional football player, I (Roy) often use a football analogy to illustrate what occurs when family members are unprepared for succession. To be an effective leader of a football team, the center needs to know the skills of each player and which plays to call for the offensive line. He does so before he snaps the ball on each play. For the players to know how to play the game, they are first drilled with X’s and O’s on a blackboard, illustrating potential plays for the field, and then they progress to intrasquad practice on the field prior to the actual game. Through these processes, the team understands the relationships, timing, competencies, capabilities, and shortcomings of each member of the team, thus increasing the possibility of executing successfully. So it is with preparing family members for success. 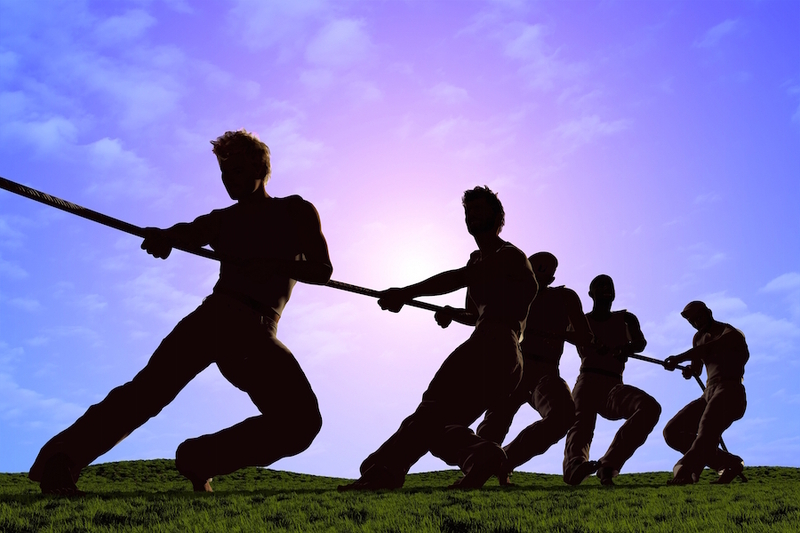 The executor (center) of the estate (team) needs to know the skills and capabilities of each member and what skills are required for each role so he or she knows what play to call to be an effective leader of the entire line, including lawyers, CPAs, financial advisors, estate planners, and family members. The family members are the receivers, indicated in the diagram by the dotted lines. If they have never run a football receiver’s pattern or caught a ball, (run a business or fulfilled a role), and if they do not know the mission/goal/purpose of the family wealth, how can they play or win? Lying in wait for them are Ponzi schemes, inept advisors, and Bernie Madoffs (defensive players). Can you imagine your unprepared children and grandchildren playing against the world champions and never having run a play or even having put on a uniform? Receivers and the offensive players practice pass patterns thousands of times. Similarly, heirs need to develop and know the role qualifications and performance standards required to fulfill the family wealth mission and to hire financial advisors. When do you start to prepare the next generation? Critical elements of the 30 percent who succeed include individual family members’ preparation, learned skills and practiced behavior of communication and trust within the family, agreed-upon family values and family wealth mission/purpose statement, alignment of the estate plans with the family wealth mission/purpose, and identification of needs and roles with qualifications and performance standards. 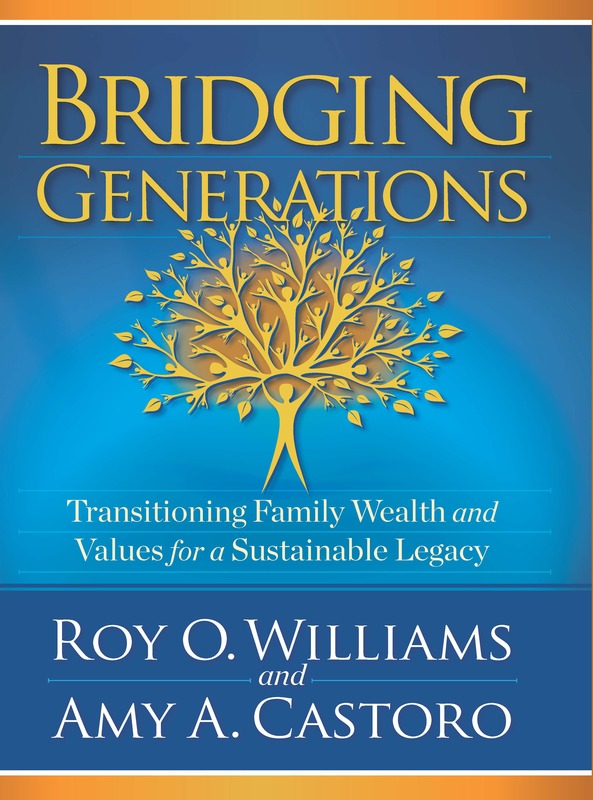 Succeeding generation family members play an active role in the implementation of the Family Wealth Mission Statement. Family members work together as a team, learning about philanthropy, wealth management, and the importance of stewardship in sustaining their heritage for future generations. Building a unified team among the next generation is an essential skill that requires agreed-upon common values, a family mission, trust, and communication skills. Other relevant topics the next generation may be charged with while practicing to function as a team include deciding how to disseminate information about the family business or management of assets to the larger family or creating an on-boarding program for family members who want to enter the family business or manage the family assets or be part of the family philanthropy endeavors. The relevant topics are organically generated by the family and/or the family business, asset management, or philanthropic needs and keep the family members engaged and motivated. When the family leaders see the power of their family being able to function as a high-performing team, they often want to integrate the power of these practices and tools into their family business’s leadership teams. The language of trust, effective partnerships, and shared values can be extended to the executive team of the family business, foundations, boards, asset management, and philanthropy teams. As is true with families, before overlaying the traditional approach of organizational strategy and structure onto a family business, it is important to first address the issues of distrust, cordial hypocrisy (resulting from a hierarchy of power and a lack of clarity of agreed-upon values and mission) that inevitably emerge through the evolution of organizations. Failing to do so results in a shaky foundation that puts future strategy at risk. Like families, family businesses are each unique and complex. Years of experience provides our team with an understanding of the nuances of working with families and their varied financial interests. Over the past twenty-five years, our partner teams have worked with more than one thousand family-owned businesses. Harvard Business Review reported in 2012 that 70 percent of family-owned businesses fail or are sold before the second generation has the opportunity to take over, and just 10 percent remain active privately held companies for the third generation to lead. Many people say family and business don’t easily coexist. When these two domains are in competition with each other, one or both suffer. Finding a balance between a passion for the family and a passion for the family business is more easily attained when the two share common values, mission, and trust. We find that families have more harmony at home and their businesses have a competitive advantage in the marketplace when the values of both are intertwined. Designing a fully integrated plan that aligns the interests of the family with the mission of the business is the bridge that connects the past, present, and future of the family legacy.